What should the gratuity policy be if you have a medi/day spa? Home Dori's Blog What should the gratuity policy be if you have a medi/day spa? Model In A Medi sSpa. What kind of clientele do you want to attract to your spa? What level of professionalism do you want to be at? Check your positioning and decide on how you want to be seen in your community. You should want to be seen as the expert. The most important thing to remember when it comes to tips, is to take care of your clients and not worry about it. When you give people what they want, you will automatically get what you want! 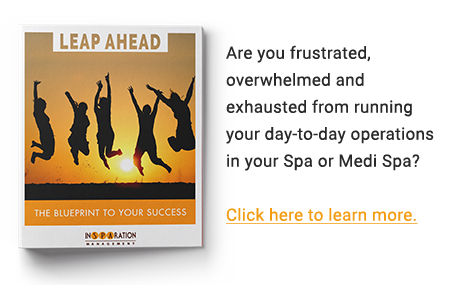 To discover a PROVEN blueprint to making your medi spa and spa more successful, Leap Ahead with us!